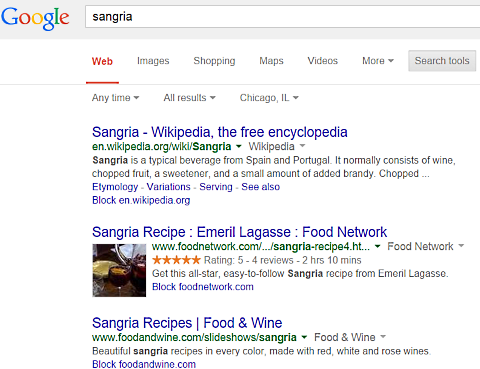 After some not-completely-scientific testing, we found that the new search tool can help—if you're patient. 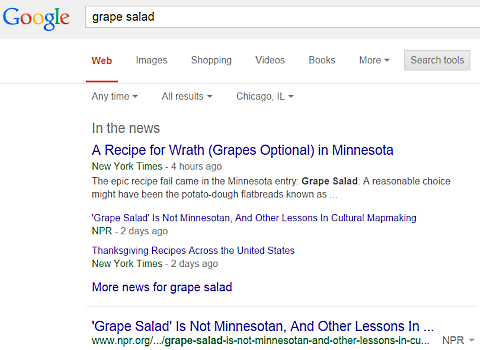 By now, we’re all used to asking Google questions about every random thing we want to know. With our smartphones, tablets, and laptops, we can ask questions anywhere we have data or WiFi signals—and most of us do. 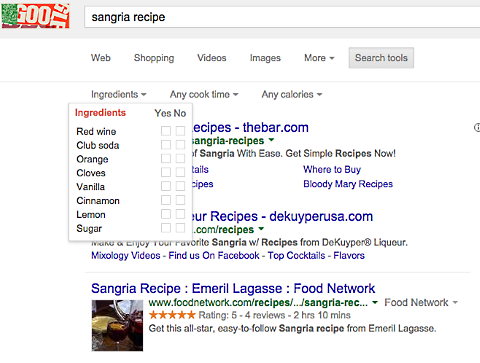 If you cook, you probably already use Google to search for recipes. 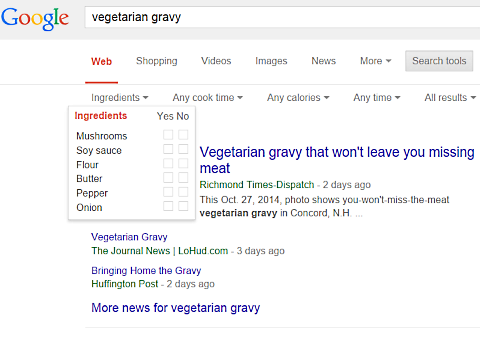 For you, and for anyone anxiously looking for great recipes for Thanksgiving, Google’s new recipe search tool just got about halfway up the ladder to that next level. 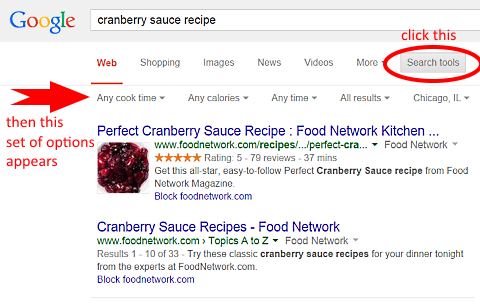 Say you want to know a good cranberry sauce recipe. 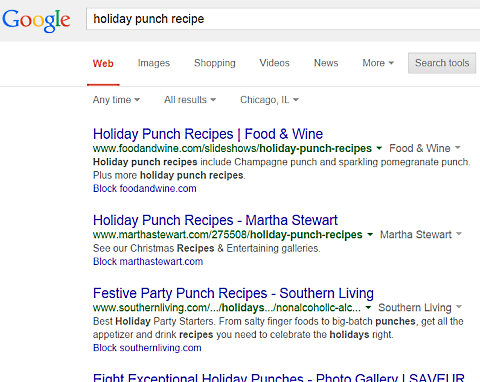 You type that search into Google and hit Enter. 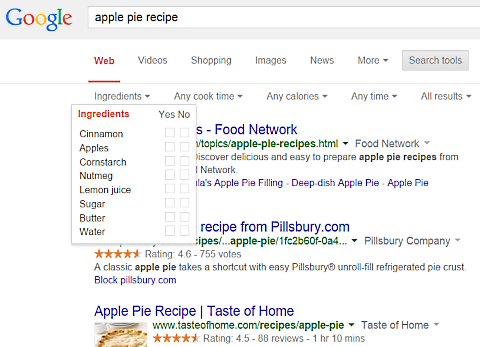 Another really cool thing: sometimes an Ingredients drop-down menu appears ahead of the Any Cook Time option. It would be extremely useful—if it was more consistent. 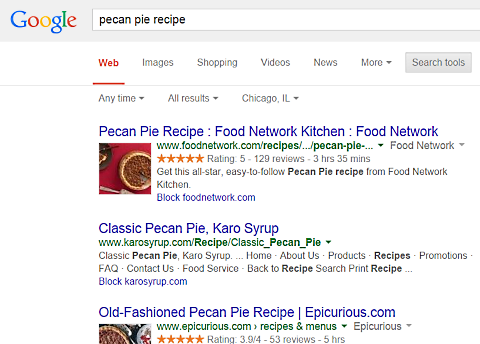 Say you want to find a good pecan pie recipe. But what if you decide to be more specific, because you know lots of businesses online ship ready-made pecan pies for the holidays? Looks like you can’t use that recipe search tool. “If that’s the only rule, I can live with that,” we hear you thinking. 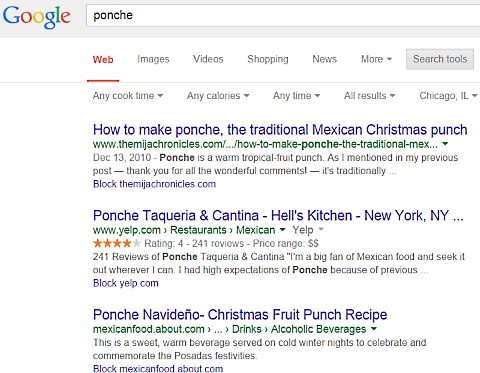 Unfortunately, the recipe search tool is inconsistent in more than one way. 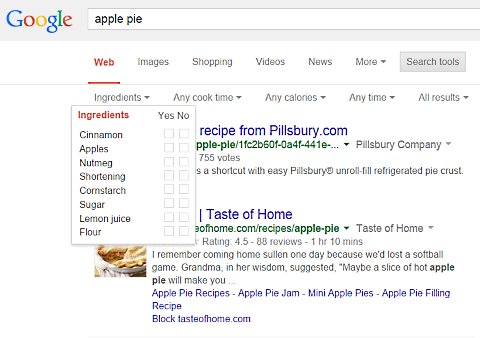 Here are two different searches for a good apple pie recipe. 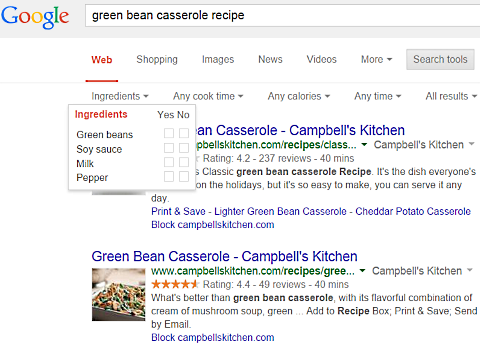 In this case, Google’s recipe search tool does show you that recipe-specific options bar. 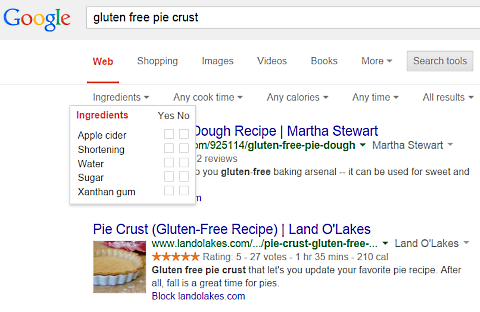 But if you look at the Ingredients drop-down menu, you’ll see that it includes different ingredients based on how you phrased your search. 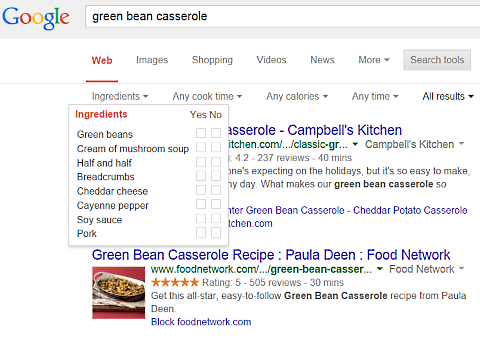 The same thing happens with green bean casserole, and presumably other things as well. 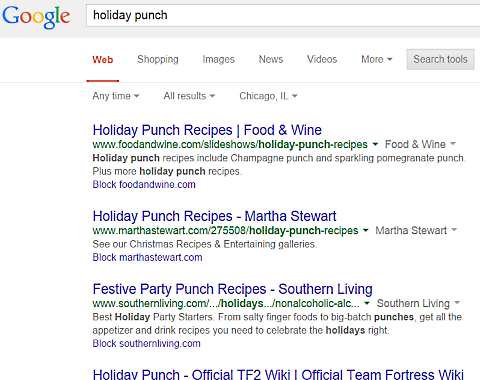 Searches for “holiday punch” don’t trigger the recipe search tool. 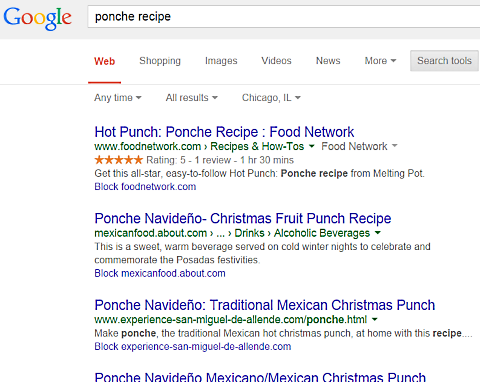 However, a search for traditional Mexican Christmas ponche successfully pulls up the tool—as long as you don’t include the word “recipe”. 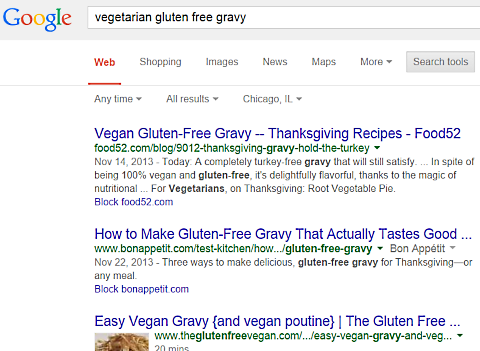 At Thanksgiving, we all have relatives or friends who have certain dietary restrictions. Since we want to make them feel welcome, it’s natural to want to make something they can eat. 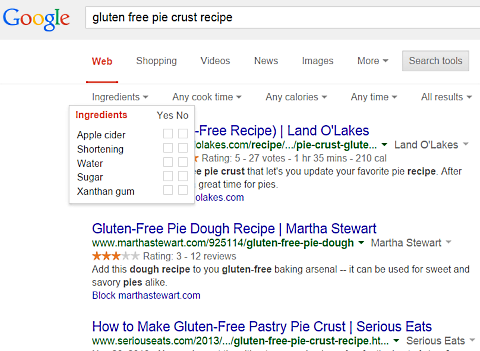 Some good news: the search for “gluten free pie crust” is pretty consistent. 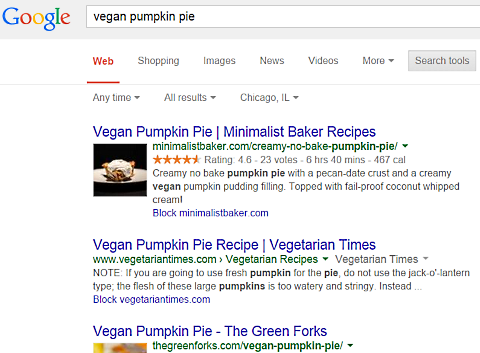 However, searching for vegan and vegetarian recipes yields mixed results. 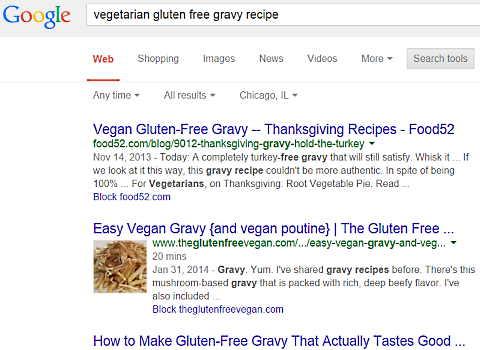 Searching for a gravy recipe that’s both vegetarian and gluten free doesn’t bring up that recipe search tool, either. What if you’re from Minnesota? 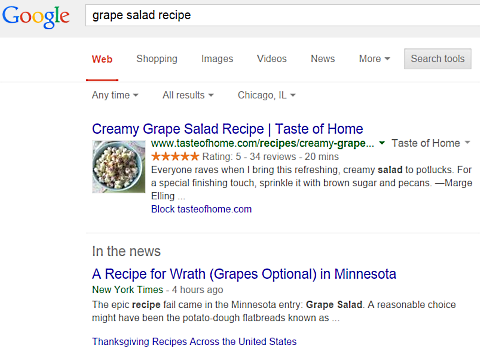 More good news: Google’s recipe search tool doesn’t think grape salad is a real thing, either. 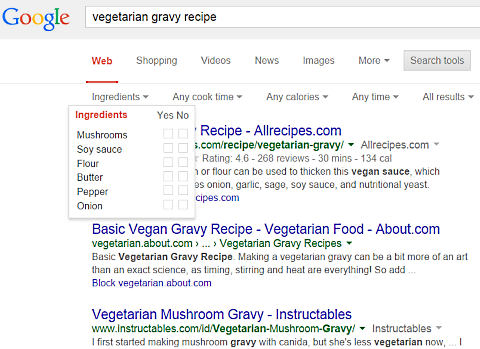 We’re confident that Google’s new recipe search tool will be great, once the search algorithms are more accurate and consistent. We’re thinking of it as a promising work-in-progress. At this time, we think it could still be useful for some things—if you’re willing to take the time to search more than one way.